Breakfast was not included with our room. I didn't even see or hear about a breakfast. I would have liked to have had breakfast included in the rate - traditional in Europe. Would have like to have coffee available. There was an instant coffee machine. Nice, clean, well-decorated; staff very friendly and helpful. This place is awesome. Loved the room and location. Really cant do better in EDI. The staff was helpful and friendly. Restaurant next door is fantastic. Location is convenient to everything. 100% would stay here again and recommend to everyone. The apartment was fantastic! Great space and we had a great view overlooking Prince Street. Staff was helpful and the location on the royal mile was perfect. Great location with plenty of room. Neat and clean accommodations. Very nice and helpful staff. The staff was so friendly as soon as we arrived we had found out that we were upgraded and that was so nice to hear especially since we had spent all day traveling. The room was so nice, quiet, and welcoming, the person that greeted us walked us to our room to show us how everything works and to make sure we were comfortable. Now the bed was a winner because it was super firm and we love that, every place we've stayed in has a mattress that feels like 1 big pillow and it's not comfortable for us. Everyday the staff greeted us and asked if we needed any help or direction for the day. The kitchen was fully equipped and the washer/dryer combo was amazing to have. The Royal Mile is very close and shopping and restaurants within walking distance. Tour buses pickup just right down the steps around the corner which is where you can also find the tourism office. This is a lovely property in the heart of Edinburgh Old Town. The apartment we stayed in was very special, with modern and original features. The staff were extremely helpful, and had great restaurant recommendations. This property is centrally located within walking distance to most activities and close to tram and buses. It is a few blocks from Edinburgh Castle and off the High Street so was very quiet and private. Really nice hotel, and super friendly staff. Nice facilities and easy access to downtown. Great location to walk from into central Glasgow. Front desk was able to secure a very early taxi for us with no problem. This was my first time to Edinburgh, so really debated booking an an apartment vs a traditional hotel and I'm very glad I chose Old Town Chambers. The location was perfect for site seeing - 5 minute walk to the castle and prime shopping streets. Every single staff member was top notch, e.g., extremely helpful and each restaurant recommendation was perfect. I booked a studio, which ended up having a great view of the city. The decor was both modern, in terms of amenities, with just the right amount of quirky historic touches. One note, because it is "residential" there are stairs involved to get to the entrance. I would definitely stay again, but this management company also has other locations, so I may want to explore those as well. 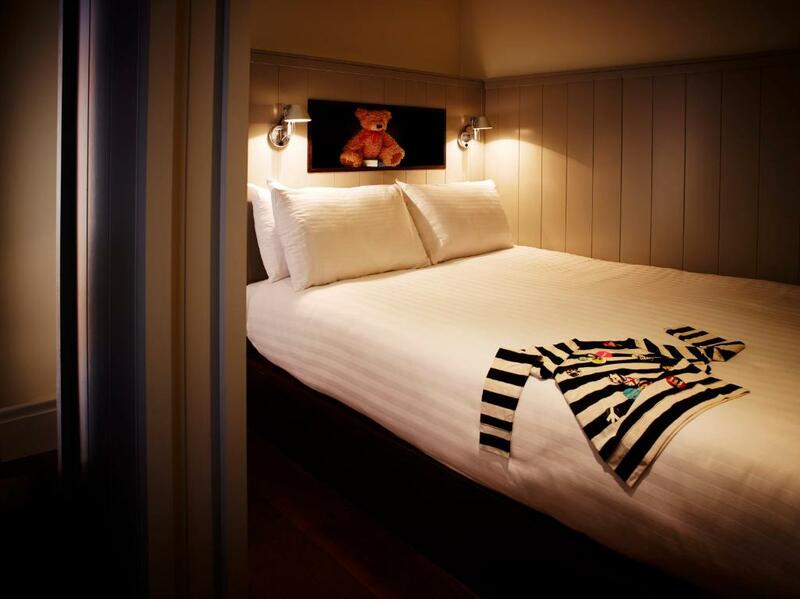 Lock in a great price for Old Town Chambers – rated 9.4 by recent guests! Old Town Chambers This rating is a reflection of how the property compares to the industry standard when it comes to price, facilities and services available. It's based on a self-evaluation by the property. Use this rating to help choose your stay! 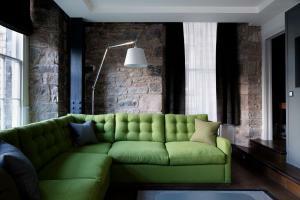 In a central location in Edinburgh, a 2-minute walk from Waverley train station and a 5-minute walk from Edinburgh Castle, The Old Town Chambers has modern, luxury apartments with free Wi-Fi. 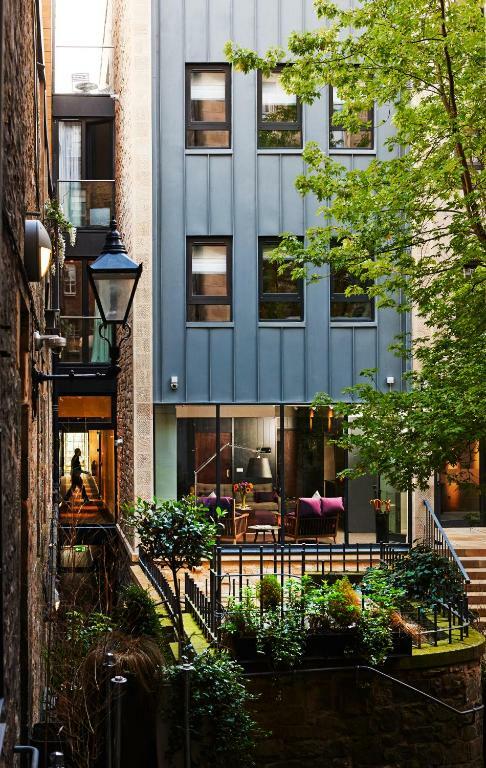 The apartments at The Old Town Chambers range in size and each features an open plan full kitchen, a dining and living area, smart flat-screen TV, luxury bathrooms, and free toiletries. Some luxury apartments also have balconies with scenic city views, a cinema TV system, and Bose sound system. 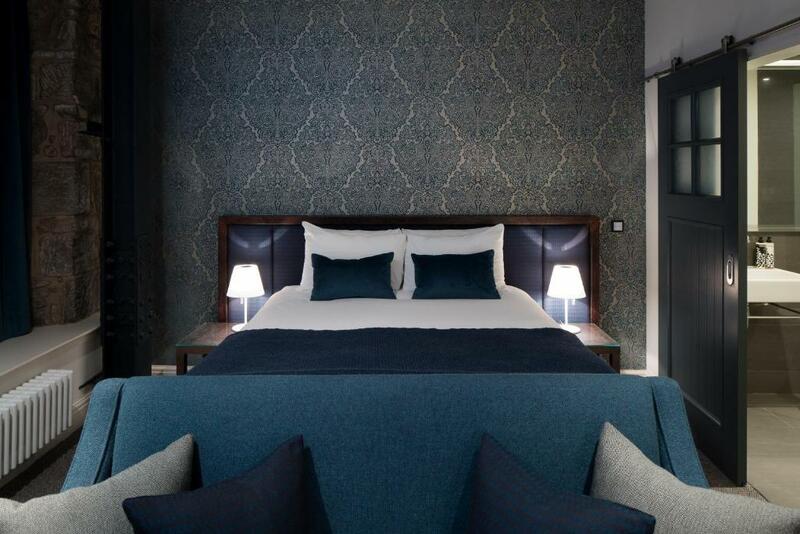 Conveniently located on the Royal Mile, The Old Town Chambers apartments provide easy access to a wide selection of shops, restaurants, and bars in the center of Edinburgh. When would you like to stay at Old Town Chambers? Large one-bedroom apartment with spacious open-plan kitchen with living area, a bathroom and free WiFi. Some of these apartments have sofa beds; please request at time of booking. A spacious open plan kitchen with living area, a bathroom and free Wi-Fi are featured in this apartment. The master bedroom also has an private bathroom. A spacious open plan kitchen with living area, a family bathroom and free Wi-Fi are featured in this apartment. There is a master bedroom and a separate bed deck to accommodate maximum 4 adults. A spacious open-plan kitchen with living/dining area is featured in this apartment. 2 bedrooms are en suite and the third has a family bathroom opposite. 2 of the bedrooms can be set up as either with twin beds or a king-size bed, so please state your preference upon booking. Boasting 2 balconies overlooking Princes Street Gardens and Calton Hill, this luxury apartment features a large open plan kitchen, a dining and living area, 3 bedrooms, each with an private bathroom. Guests can enjoy a high-tech cinema system, a smart TV, Bose sound system, a Nespresso machine, and luxurious fixtures and fittings. Individually designed, this Townhouse is over 3 floors and it features a large open plan kitchen with dining and living area, free Wi-Fi, and a flat-screen TV. The master bedroom has a private bathroom with a large roll top bath and a luxurious shower. The second bedroom has a private bathroom. Boasting views overlooking Edinburgh Castle, Princes Street Gardens and Calton Hill, this luxury apartment features a large open-plan kitchen, a dining and living area and 1 bedroom with an private bathroom. Guests can enjoy a smart TV, Bose sound system, a Nespresso machine, and luxurious fixtures and fittings. Two-bedroom, two-bathroom apartment, one of which is en suite. This apartment has an open-plan kitchen, dining and living. Open-plan apartment with a kitchenette, seating and king-size bed and a separate en-suite shower room. Some studios are based in Adam Bothwell House, which has no elevator. Please indicate if you have mobility issues. Luxurious one-bedroom apartment with stunning views over Princes Street Gardens and Calton Hill. Some of these apartments have sofa beds; please request at time of booking. This apartment has a bathrobe, satellite TV and oven. This apartment has a seating area, iPod dock and soundproofing. 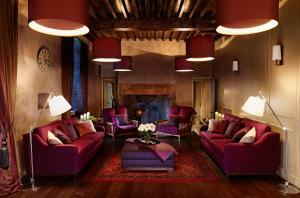 Old Town Chambers is a luxurious gem, situated in the heart of Edinburgh's Old Town. 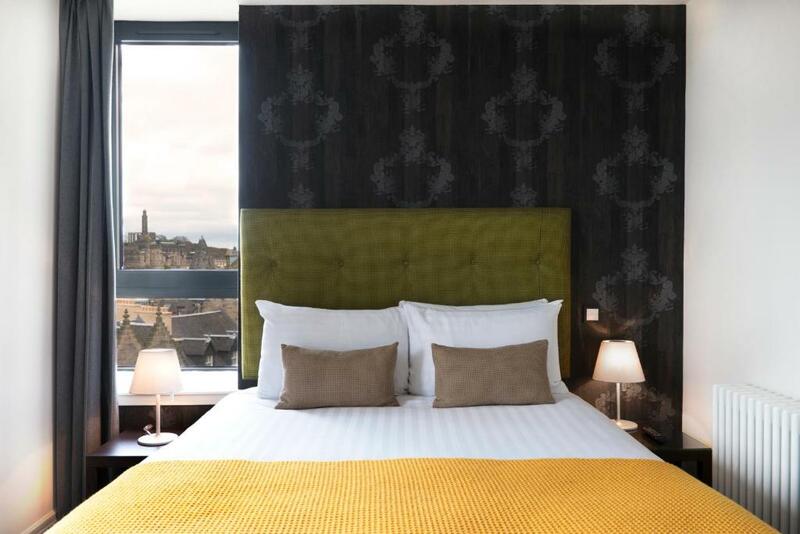 Just Off Edinburgh's famous Royal Mile our apartments are within walking distance of local restaurants, cafe's and many of Edinburgh's top attractions. In some of our apartments you can enjoy views out over Princes Street Gardens and beyond. At Old Town Chambers we aim to provide the best in guest experience. Our concierge team are on hand 24/7 to help you and answer any questions you may have. They will be able to advise on transport arrangements, eating out as well as the best things to see and do within Edinburgh. Old Town Chambers lies in the heart of Edinburgh's Old Town just a 5 minute walk from Edinburgh Castle, Princes Street Gardens and The National Galleries of Scotland. Old Town Chambers is surrounded by a variety of cafe's and restaurants ensuring that you'll be spoiled for choice when dining out in Edinburgh. Our apartments offer contemporary modern design whilst retaining the original features of Old Town Edinburgh. Experience a sense of history with a stay in one of our unique serviced apartments. House Rules Old Town Chambers takes special requests – add in the next step! Old Town Chambers accepts these cards and reserves the right to temporarily hold an amount prior to arrival. If you wish to pay with cash, please inform The Old Town Chambers before arrival. You can use the Special Requests box when booking, or contact the property directly using the contact details provided in your confirmation. The second bedroom was a little small and had no windows and only a curtain rather than a door. There was also noise coming from some machinery behind a closed door (heating or plumbing?). 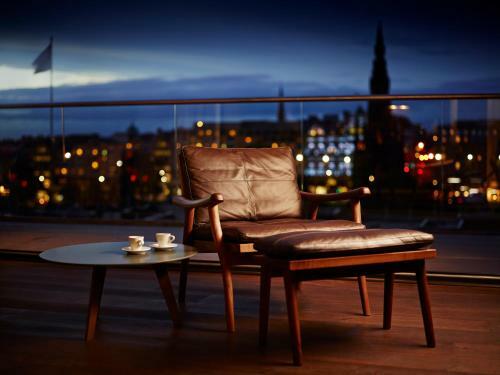 The position, tucked away off Royal Mile and next to various excellent restaurant, was ideal. The staff were helpful. spot on bedroom floor. Need a real coffee service or machine for all guests. Perfect location, right in the center and we were able to nip back a couple of times a day to have a break from the sightseeing. Really friendly staff. We were upgraded to apt 39 which was fantastic! Would highly recommend Old Town Chambers. Too expensive for what it was. I’ve stayed in better serviced apartments for much less. Our speaker (one of the reasons I booked this place as I listen to music often when I’m staying somewhere for the evening) didn’t work, and unfortunately there was no option to fix it. Not the best view from out room but it didn't matter. The best views are on the streets. Great location and incredibly convenient. Excellent restaurant right next door -Devils Advocate.Got to try it if you are here. Walking distance to everything worthwhile. Lovely staff. The room was amazing and modern with everything you would need for such a trip. Will definitely stay here again. We loved everything but if you want a full service, drive up hotel then this wouldnt work for you. Little bit of a pain unloading bags because you unload at the street and have to carry everything down stairs to the lobby area. Some noises were coming from heater. Shame there is no onsite parking but this is Edinburgh Royal Mile and local parking was only a 10 minute walk away. Immaculate apartment, free coffee pods and fresh milk, good WiFi, friendly staff. My daughter found the sofa bed extremely uncomfortable. The apartment we have was amazing with breathtaking views. Bathrooms and showers were great too. Beds were very comfortable. We really enjoyed our stay.